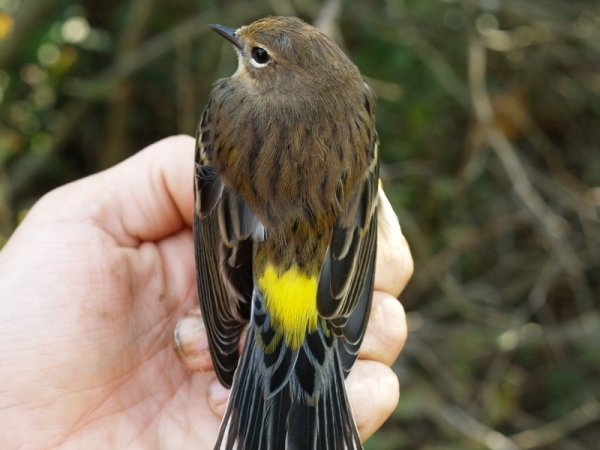 The warbler in the photos below was banded by Simon Duval at McGill Bird Observatory (Montreal, Quebec) on September 27, 2010. 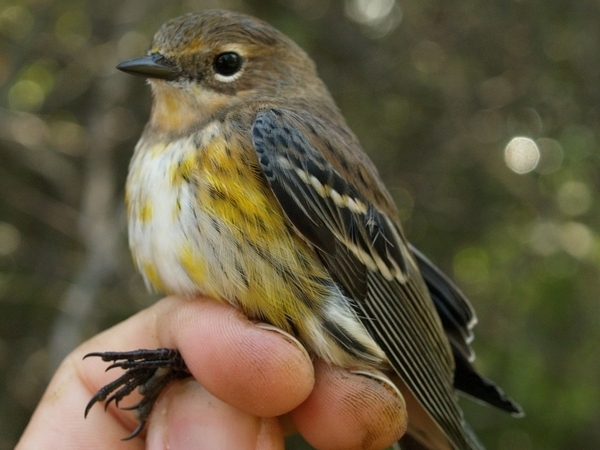 Over 1000 Yellow-rumped Warblers had been banded in the previous week, and this individual was immediately recognized as looking different, especially in terms of the yellow on the breast. 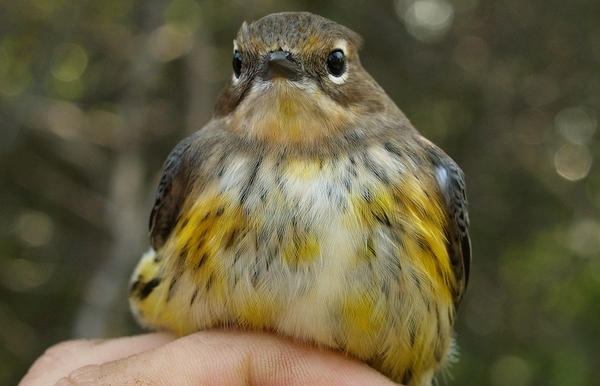 The pattern observed is inconsistent with either Myrtle or Audubon's Warbler. 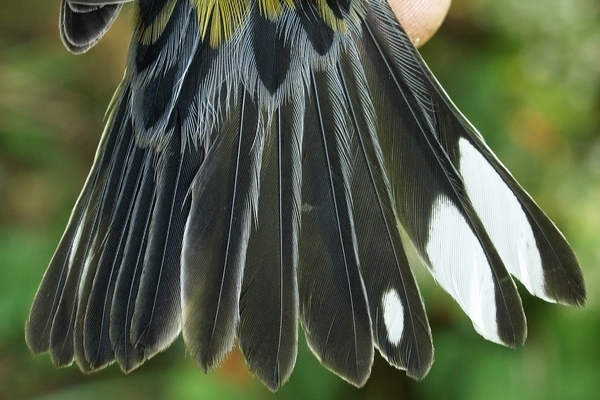 While hybridization with Cape May Warbler or Magnolia Warbler has been suggested by some, most seem to agree that it is simply anunusual pattern of pigmentation. 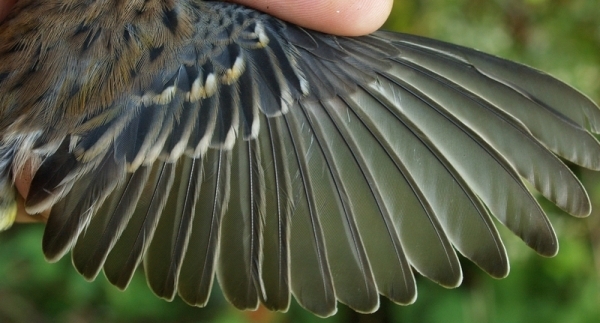 Any thoughts about its identity are welcome by e-mail. All photos by Simon Duval.